When you are arrested for DUI and the officer suspects that you have been driving under the influence of a substance other than alcohol, you will be asked to take a urine test instead of, or in addition to the breath test. If you have been arrested and subjected to a urine screening, you need to contact a qualified defense attorney immediately to protect your rights!! Why did the officer ask me for a urine test? If an officer suspects that you are driving under the influence of drugs to the point that your faculties are impaired, the officer will ask you to submit to a urine test. This test will show whether you have drugs in your system at the time of the test. Sometimes an officer asks you to take the urine test because they are not satisfied with the result they got from your breath test. This may or may not be permissible. Can I refuse to give a sample? In most cases you can’t refuse to submit to a urine test. Under the implied consent law, urine tests are treated in a similar fashion to breath tests. Reusing to give a sample may result in your being charged with a refusal to submit to testing. What will happen after I provide the sample for the test? Once you provide the sample, the officer will do a “presumptive” test. This is a quick test meant to show an immediate result. The result will indicate if you have any drugs in your system, and if you do what type of drug it may be. The sample is then sent to FDLE for further analysis. Can the result be used against me? Yes. The results of a urine test are used in the same way as the results of a breath test. The State will use the result to try to convince a jury that you were under the influence. The experienced staff at Finebloom, Haenel & Higgins have over 20 years combined experience in DUI defense. We know the ways to challenge your submission to the test, the result and, if necessary, the way to use the results in your defense at trial. Every case is unique. 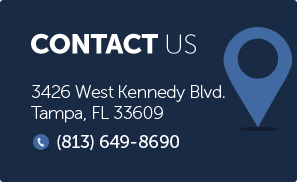 Call our office today at 813-200-4412 to speak with an attorney and discuss your case. Our qualified attorneys are available 24/7 to consult with you. Call us now and fight your case!